Performance Manager (powered by AppSense) Boost the number of users on servers; control CPU-hogging apps and resource apps. Daimler Chrysler improves productivity and delights users. That's the goal afterall. British Energy puts hungry applications on a diet. Read the customer case study. Save an average of 40% on server hardware. What?!? Now one Excel power user doesn’t consume all of the resources and freeze everyone’s session. IT's the second-largest power consumer in most organizations. 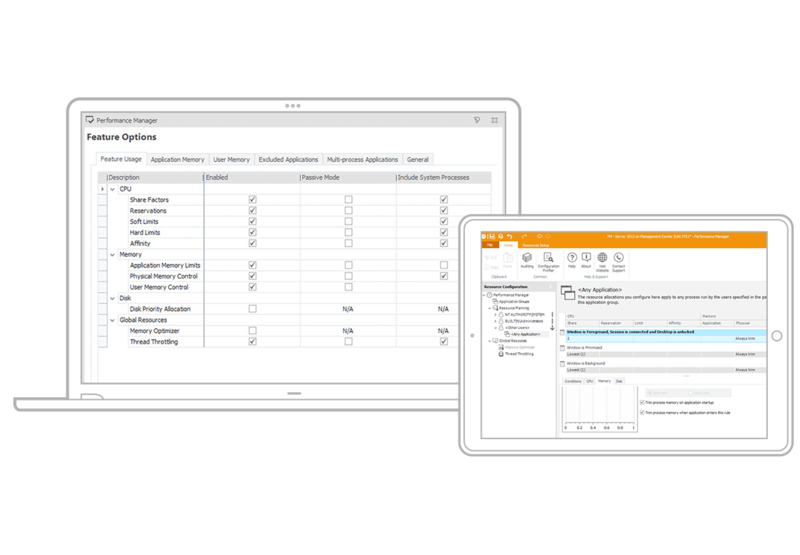 Learn how Performance Manager can reduce your power usage and costs. Improve system capacity and consolidate hardware to gain an average of 40% savings on hardware costs. Take advantage of corporate-policy best practice using our built-in configuration templates. Give users a fair share of CPU. 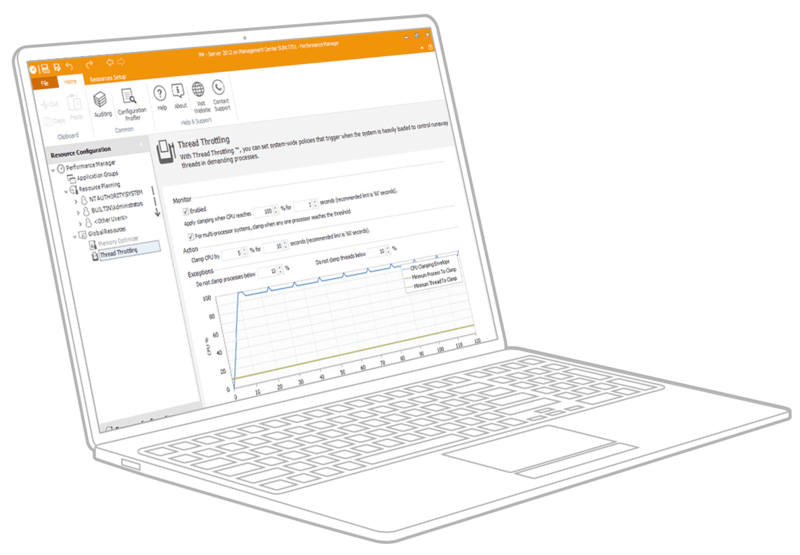 With Performance Manager, you get more server performance, more productivity, more users per server, more application predictability—and more savings. Speak with one of our helpful representatives to understand how Performance Manager can pay for itself FAST!